Airport transfer services have made travelling easy and hassle-free as you don’t have to worry about the uncertainties at the airport terminals. Once you hire airport transfer services, you have peace of mind knowing that a chauffeur-driven car is waiting to pick you as soon as you land. The benefits of hiring airport transfer services are not only restricted within the airport premises – it is also about the journey to and from the airport. It saves you from the hassles of navigating through traffic and finding a proper parking place. When you travel by plane, it is very frustrating to wait in long queues to carry your luggage through the terminals or to find a taxi. On the contrary, when you avail an airport transfer service, you have peace of mind knowing that there is a car waiting for you as you land. Airport transfer services are highly convenient as you do not have to worry about anything. GC Direct Charters employs fully trained and highly professional drivers who take care of your problems and needs. Whether your flight is delayed or you have lost your possessions, the airport transfer car will be out there waiting for you. Most importantly, the driver will make sure you reach your destination safely – whether it is early in the morning or at the middle of the night. Hiring airport transfer services in Gold Coast not only takes the stress out of the journey to and from the airport but also saves you valuable money. When you choose to travel by in airport transfer car, you will not have to spend extra money for paying the high rental fees and parking charges. Reputed airport transfer firms always provide the lowest price for its customers. GC Direct Charters’ customer-friendly transportation services are competitively priced. From time to time and especially during the festive seasons, we offer attractive discounts. Booking an airport transfer car in advance and arranging your pick with us will save you a lot of money. When you travel to a country or city for the first time, it is obvious that you are not aware of the local routes, driving rules and regulations. This is where airport transfer service providers can help you, making sure you reach your destination safely and on time. GC Direct Charters employs fully trained and licensed drivers. We give topmost priority to your safety and so we conduct in-depth background checks on our employees. You are allocated a highly professional driver, who not only knows all the routes and follows the traffic rules but also handles your belongings with the utmost precision and care. Traditional modes of transportation are usually uncomfortable and do not offer privacy and ample storage space. On the other hand, airport transfer service providers give you the freedom to choose from a wide range of vehicles in their fleet. You get to choose a vehicle that not only matches your lifestyle but also suits your needs and preferences for a highly comfortable ride. GC Direct Charters offers a wide range of airport verified, police checked, well maintained and quality checked vehicles to ensure you enjoy a smooth and hassle-free ride. There is nothing to worry about if you are travelling in a group as we offer vehicles that are spacious enough to accommodate the entire group. The services are also flexible in terms of timing and pick-up/drop-off areas. Whether it is early in the morning or in the middle of the night, you can book an airport transfer car at whatever time you need. 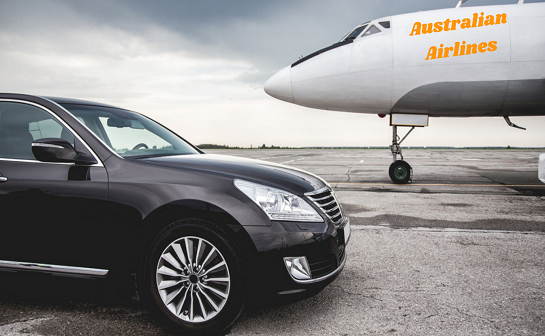 Looking for safe, affordable and hassle-free airport transfer services in Gold Coast? Don’t look beyond GC Direct Charters. Our highly professional yet friendly customer support team and highly experienced drivers do everything possible to provide you with a timely, comfortable and stress-free ride.